CHUAN CHIU FOOD MACHINERY was established since 1982 who’s been manufacturing Food Machine equipment, includes baking equipment, food processing machines and refrigerators till now. 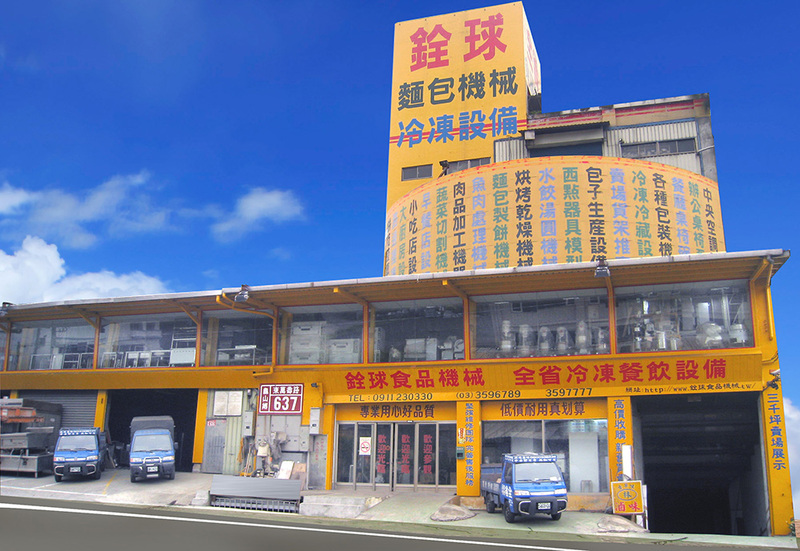 In 1982, built up with factory with 30 meter squares in TUCHENG, NEW TAIPEI CITY, TAIWAN, we started to make food machine related to spiral mixer machine, fermentation showcase and so. For the move on business operation, we strived to increase market rate in food machine industry in global, our food machines have been sold out spread through with our organization increased for 18 years as CHUAN CHIU FOOD MACHINERY CO., LTD. in GUISHAN, TAOYUN CITY, TAIWAN. At the time, we declared for best service to customers; we recruited professional engineers for door-to-door repair and warranty service, includes second-hand machine; also, we had service to renew second-hand machine to customers, includes kinds of baking machine, big size kitchen equipment, food processing machine, peripheral and cooking classes. In 2009, we hoped that could change economic recession, we started to participate in food machinery exhibition in Taipei world trade exhibition with our food machinery suited to vendors in order to encourage people to be a small business owner with customization till now. We CHUAN CHIU FOOD MACHINERY CO., LTD. believes buying a well food machine is a best choice to make food. We are hoping that we move on right way to build up win-win situation with our customers with well food machine and well support for peoples’ living forever.